Transportation is the lifeblood of the Bay Area. 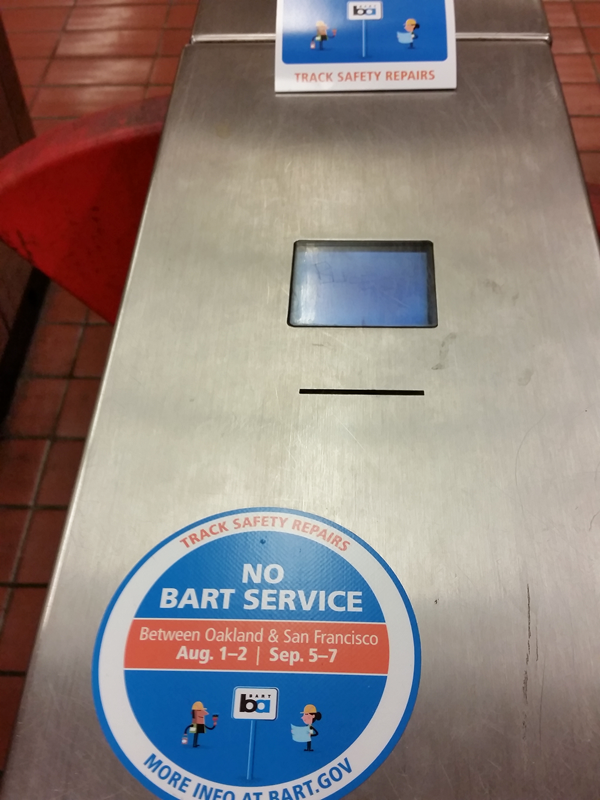 This weekend, for the first time ever, BART will close the Transbay Tube for major maintenance. This termination and BART’s planned repeat on Labor Day weekend will mark the first time in 41 years that it has been impossible to travel between Oakland and San Francisco by rail. This temporary inconvienince underscores the fragile state of the transit system that nearly half a million Bay Area residents rely on daily. Although these shutdowns are planned, the Transbay Tube is aging and the next required maintenance might not be so easily scheduled. The Connect Oakland vision is larger than solely reconnecting Oakland neighborhoods, it is also a vision to more deeply connect cities across the Bay by creating a more resilient transportation system for the Bay Area. Connect Oakland envisions the re-use of the I-980 corridor to provide a connection to a new southern Transbay Tube with a dual bore. The first bore could carry a new BART line from MacArthur Station under the I-980 right of way to Howard Terminal, Alameda Point and on to San Francisco. The new BART crossing would allow for an interim closure and desperately needed seismic retrofitting and flood protection of the original Transbay Tube while avoiding a total shutdown of rail connections between San Francisco and the East Bay. After the Market Street Transbay Tube is back online capacity would be increased and all night service would finally be feasible. 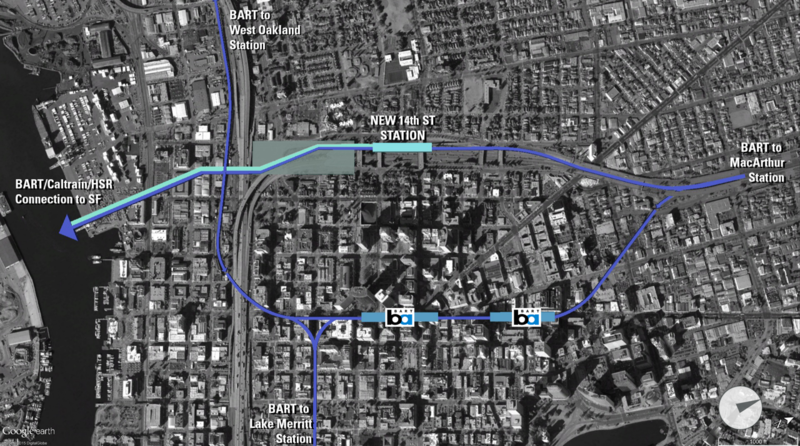 The second bore of the new Transbay tunnel would provide the opportunity to connect Caltrain and HSR rail directly to Oakland. Connecting commuter rail/HSR to Oakland would tie the Bay Area transport network together and could provide a viable alternative to the type of long distance highway commuting that is currently snarling Bay Area highways.